Polyethylene bottle with hollow, steel tube places just the right amount of lubricant, cleaner or other liquid exactly where you want it. 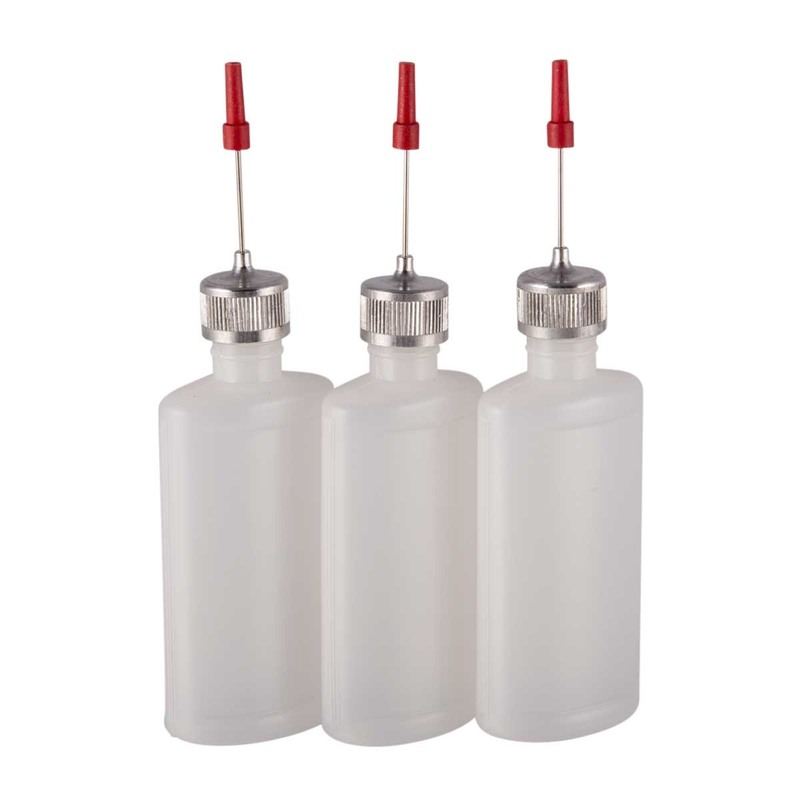 Flexible, translucent body aids in metering the contents and allows viewing contents of bottle; resists breakdown from most petroleum based oils and common gun solvents. Eliminates over-lubrication and waste. 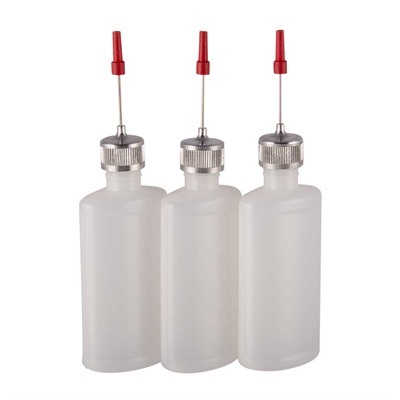 Threaded top features a heavy-duty, inner, rubber seal and removable slip cap; both seal tightly and prevent leaks. NOTE: Color and style of actual bottle may vary slightly from photograph. Function is not affected. SPECS: Holds approximately 1 fl. oz. (30ml). Sold in 3 paks.